Appliance Warehouse of America is where washing machine rental is easy and affordable. For nearly two decades, our customers have trusted Appliance Warehouse of America for dependable in home dryer and washer rentals. 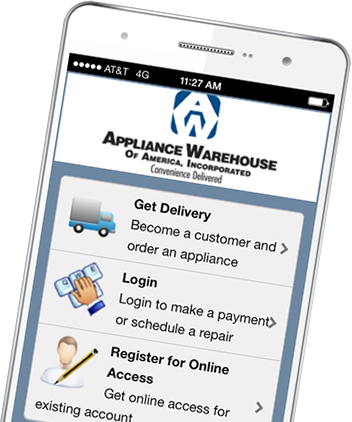 With low monthly rates and superior service, Appliance Warehouse of America is a convenient and maintenance free decision for all of your dryer and washer rental needs! If you are a community looking for dryer or washer rentals, please call us at 800-693-4343 for a program customized to meet your needs. If you are an individual looking for dryer or washer rentals, call or click above to order your washer and dryer today. Serving the multi-housing industry nationwide.